Pumpkin & Pear Cupcakes in Ireland! Life is Sweet in Northern Ireland is on my "bucket list" of places to visit while I'm here in Europe... and really, it's mainly because the make things like this cupcake. 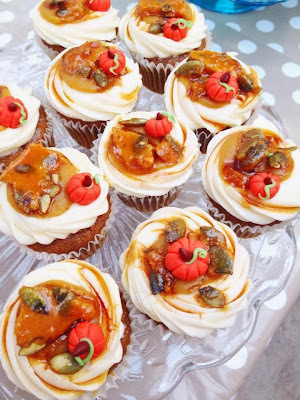 Pumpkin cake with vanilla cream cheese frosting garnished with pumpkin seed brittle, itty bitty handmade fondant pumpkins, and a drizzle pumpkin butterscotch sauce. OH MY! 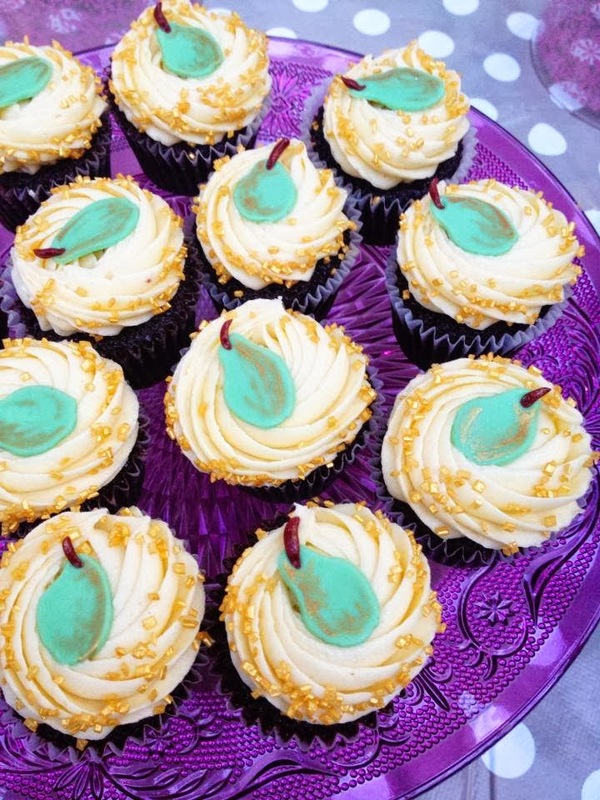 Also at Life is Sweet are these Guinness & Pear cupcakes. Seriously, who thinks to put these two flavors together... but it's GENIUS! The buttercream is made with a pear cider reduction. WOAH! Visit Life is Sweet on Facebook to see all of their amazing creations and to find out where you can get yours on your next visit to Ireland!